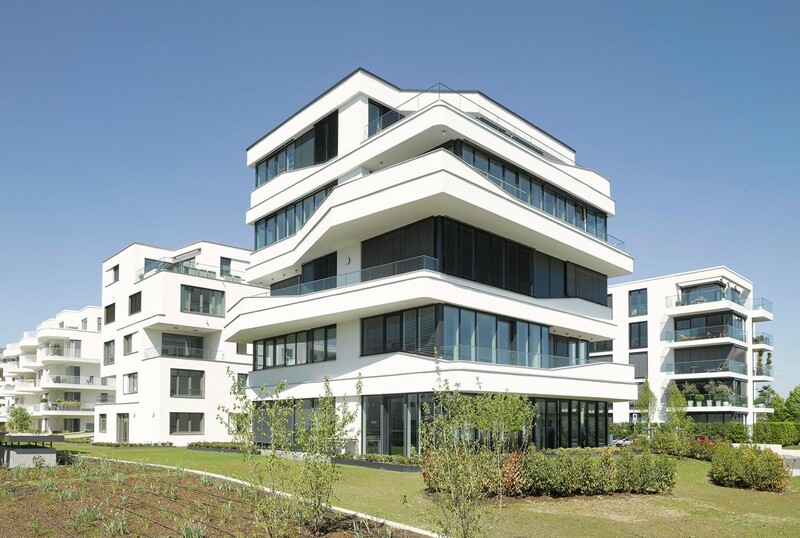 Along the banks of the River Rhine, on a former industrial harbor site in close proximity to the inner city of Ludwigshafen, a new city district has emerged, the district Rheinufer Süd. 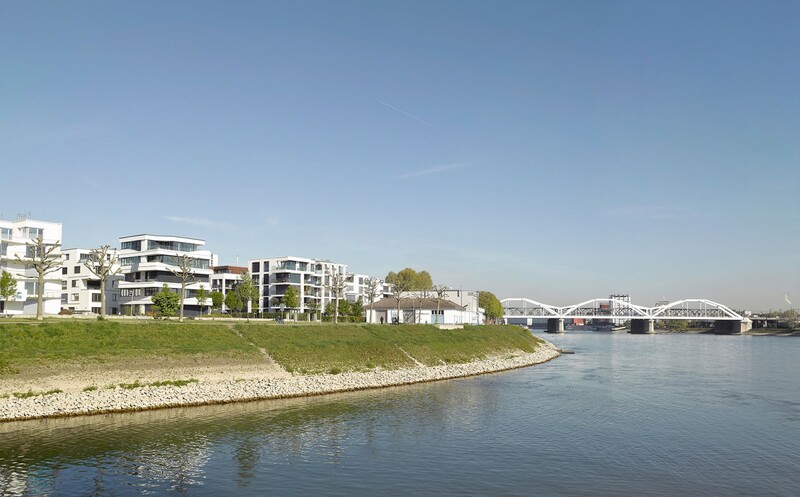 In addition to offering direct access to the Rhine promenade, the site affords views of Mannheim castle. The area experiences the River Rhine as a newly perceived “lifeline” and uses its atmosphere for the quality of living. 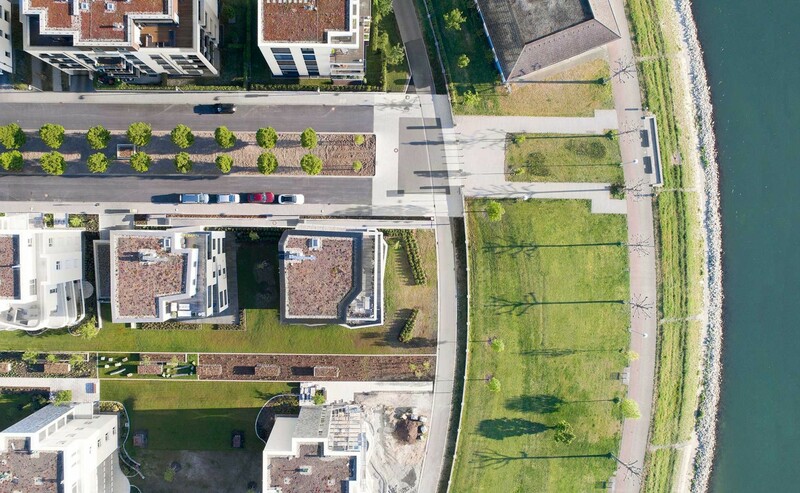 Due to the fact that the buildings are situated directly behind one another, the views from the two buildings, each with five residential units, appear to be very different to both the surrounding park and to the River Rhine. The first city mansion is located with a direct view of the water. Large glazed façades and curved balcony parapets, some closed and others open, encircle the building resulting in a living space that offers a place to retreat alongside direct links and views to the outside. 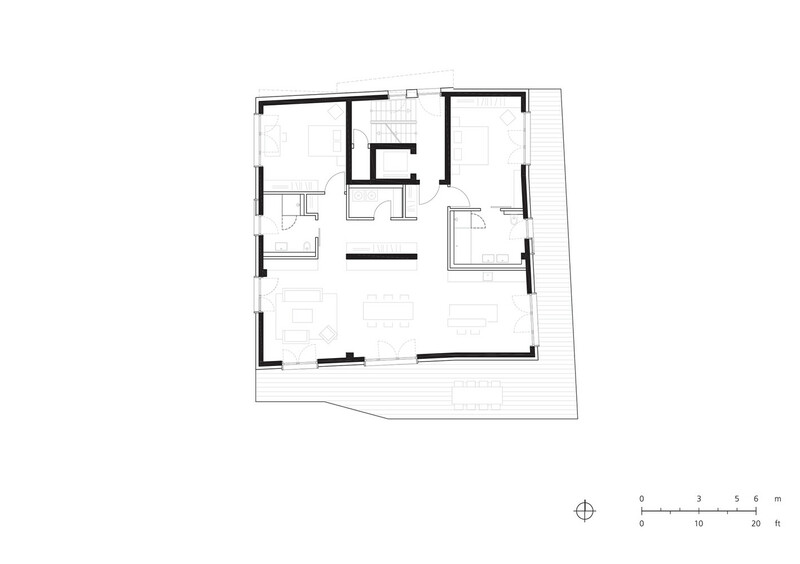 The floor plan of the first mansion is also openly designed. The serving elements are arranged around the central access cores while the rest remains free for individual design. 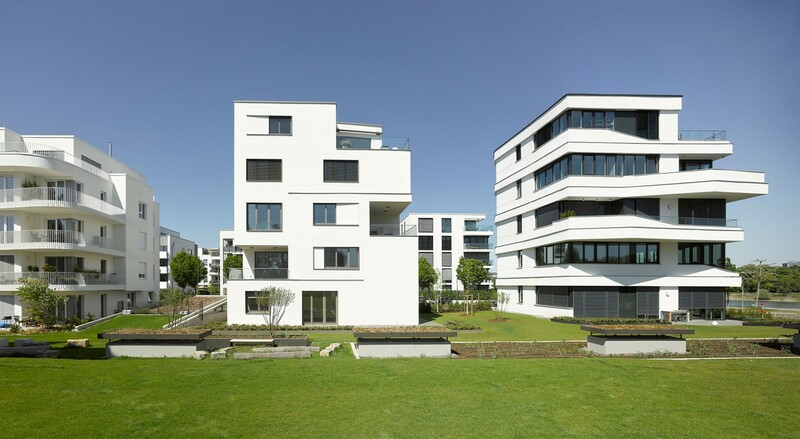 Every apartment has an expansive balcony on the upper floors, a terrace on the ground floor or a roof terrace on the 4th floor, each being oriented towards the water or the designed garden. In contrast, at first sight the second building appears more introverted. Its often closed exterior accentuates the façades punched glazed zones, some of which have windows extending as far as the floor. These framed views draw one’s gaze from the interior out towards the surroundings. The recessed loggias have been located to divert views past the first building volume. 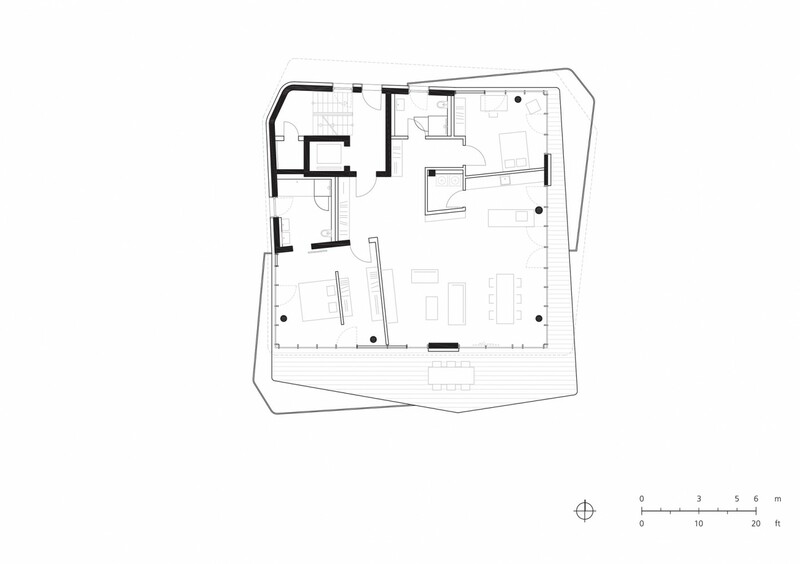 The floor plans of the second mansion are, similar to the façade, more structured and divided into retreat areas, while the community areas remain open. The entrance floor holds an expansive terrace and the upper floor offers a roof-deck. 2.595 qm / 27,932 sq.ft. 8.957 cbm / 316,316 cu.ft.